This design by Henning Koppel is simple, timeless, and beyond all trends. Georg Jensen manufactures the Henning Koppel Alarm Clock from stainless steel and ABS-synthetics. Georg Jensen manufactures the Henning Koppel Alarm Clock from stainless steel and ABS-synthetics. A colourful pointer serves to adjust the desired waking time. The Henning Koppel alarm clock by Georg Jensen has a diameter of 10 centimetres and appears complete with support. The design of the alarm clock is based on the world famous clock design by Henning Koppel. Since he designed his first wristwatch in 1978, he broke an ancient clock tradition by substituting numbers with points. This simple but eye-catching difference in design has influenced the Georg Jensen clock collection ever since, embodying fundamental Scandinavian design and cool simplicity linked with functionality and quality. 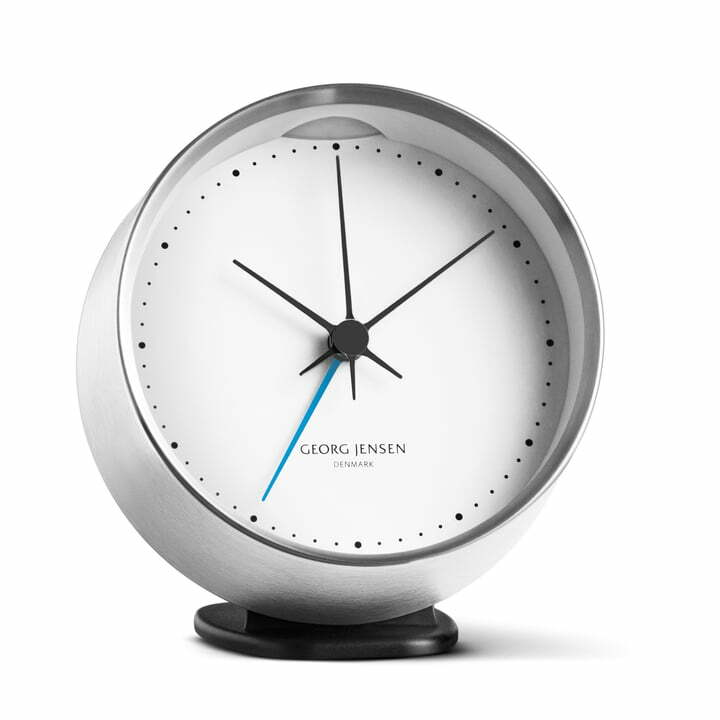 The minimalist design also decorates other products such as the weather station and wall clock in addition to the alarm clock by Georg Jensen. This is absolutely pleasing to look at, but we have found it difficult to tell the time with it quickly as the second and minute hand are a bit too close in thickness.